Composting is nothing new. Using organic matter to augment the soil is an age-old practice. For homeowners, it can be a great way to handle kitchen scraps. Food waste is composed of organic matters. It is easy to degrade. That said, there are a number of variables that should be considered for fast, safe compost production. If you have some outdoor space, consider to get a rotating compost tumbler. It will allows you to make compost faster. Rotating the tumbler regularly will promote good air exchange. As you know, decomposition happens in the presence of bacteria. For aerobic bacteria to remain active, an adequate oxygen supply is needed. Poor oxygen supply will slow the composting process. Foul odors can form. Aerobic organisms also need moisture to accomplish the decomposition process. A drum/tumbler system will allows you to easily keep compost moist evenly. If you live in a suburban or rural area, a simple enclosed bin or a compost digester could work for you. 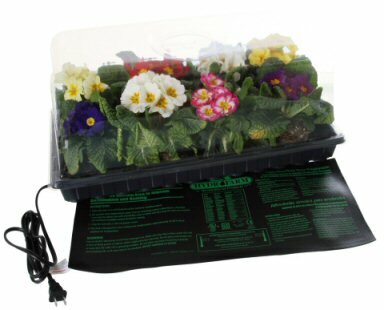 Many products in the market come with pest proof compartments. The enclosed compartment will cut down on odors seeping out. Open compost pile is not a good choice if you compost mostly kitchen scraps. For people living in urban areas, vermicomposting can be a great solution. Worms convert kitchen waste into nutrient rich organic fertilizer. Worm bins have a small footprint. This solution makes it possible for you to compost year-round, indoors or outdoors. Though it is true that all food scrap items are basically compostable, there are ones that should not be composted. Meat, oil, and dairy should not be put in the compost pile. High protein and fatty food, including fish scraps attract pests. They will easily produce very unpleasant odors, a big concern in urban and suburban areas. Worse, they may contain dangerous bacteria. Food cooked in oil or cooked with fat or butter can turn mushy. Some people reported that they had no real issue with animal products getting into the compost. However, it is best to stick with plant-based scraps for the start. If you are looking for a solution to get rid of food scraps of all kinds, the Green Cone Solar Waste Digester is worth taking a closer look. It is a food waste disposal unit, meaning it does not produce compost for garden use. Another alternative is to use Bokashi composting. The process works by fermenting your food scraps using special bacteria. Compost will develop faster once optimal aerobic conditions are established. Though all organic materials will break down eventually, the process might take much longer without proper conditions. To achieve ideal conditions, there are a number of factors that should be considered. Carbon-to-nitrogen ratio is one thing that should be managed in order to achieve rapid, aerobic composting. Ideally, the ratio is 30:1. When the nitrogen content is too high (low C:N ratio), the excess nitrogen will lost in the form of ammonia. Fruit and vegetable scraps are generally high in nitrogen. To lower the overall ratio of nitrogen, add carbon-rich materials (e.g. branches, stems, dried leaves) to the pile. The C:N ratio of common compost materials can be found in many sites. With simple equations, you can determine what extra materials to add and how much. If you have 5 pounds of vegetable waste (C:N ratio = 12:1), for instance, you can mix it with 9 pounds of dry leaves (C:N ratio = 40:1) to keep a healthy balance of carbon and nitrogen. In the real world, it is impossible for the average home owner to get a perfect, well-balanced mix. The materials we need may not be available. Furthermore, age of materials affect the ratio. A simple solution is to just add an equal amount of carbon-rich materials to the pile. Adding those extra materials is also important to prevent the pile from becoming too soggy. High carbon materials often are dry while food waste has high water content. When it comes to composting, it is best if different materials, wet and dry, are mixed together. Excess moisture encourages aerobic decomposition, with the accompanying odor and acidity problems. Composting food scraps at home is not a hard thing. In the reality, you can just throw your food scraps into a compost bin and still end up with compost. Furthermore, there is no exact recipe for creating perfect compost. But by putting more effort to meet the optimal conditions for aerobic composting, some potential issues can be avoided.